English premier league is one of the most followed and most expensive football league in the world ,the nature of the league has make the league to be popular in the world which attract many star players to ply their trade in the league with the hope of earning more . 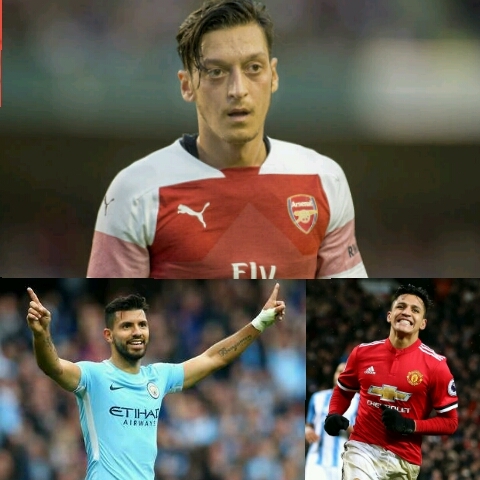 Mesut Ozil was the highest earner until Alexis Sanchez joined Manchester United from Arsenal and earn £500,000 including tax. Chile international Alexis Sanchez is the highest earner in the league , The 30 year old move to Old Trafford from Arsenal in an exchange with now Gunners midfielder Henrikh Mikhitaryan and earn a staggering £350,000 after tax . Though he is unsettle upon his move to Manchester , he has score 3 goals in 29 appearance for the Red devil. Arsenal Midfielder Mesut Ozil is the second highest paid footballer in the premier league , he earn a whooping £350,000 after tax after signed a new 3 and a half year contract at thr Emirates . 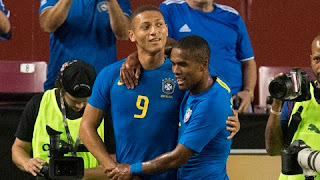 The Germany international midfielder who sometimes is used as a winger by Coach Unai Emery became popular after a strong showing for Joachim Low;s men at the 2014 world cup in Brazil but he was overshadowed by political issues which led to his retirement from the national team after 2018 world cup in Russia. England international winger Raheem Sterling play his club football for Manchester city in the premier league, he earn £300,000 a week in his new deal with the Citizens which make him the highest paid footballer in the club history. The 24 year old contract run till the summer of 2023. Manchester United midfielder Paul Pogba is the fourth highest paid footballer in English Premier league , The French Midfielder earns £290,000 a week after tax . The French Midfielder re-join the Red Devil from Juventus in the club record fee of £89.3m back in 2016 . The central midfielder who is likend to African great Yaya Toure due to his ability to play in the midfield as well as playing in the front three is the fourth and the second Manchester united player in the list. Former PFA footballer of the year Ngolo Kante is the fifth highest paid footballer in the premier league . The midfielder signed a new 5 years contract which see his initial £150,000 a week contract increased to £290,000 a week makes him the highest paid footballer at stamford bridge. The two times premier league gold medalist contract run till the summer of 2023. On loan Chelsea striker Gonzalo Higuan is the sixth highest paid footballer in the league and the second highest paid footballer at Stamford bridge in 2019. The striker who join on a six months loan deal from Juventus earn £270,000 a weekin his initial loan deal till the end of the season. Belgium Midfielder Kevin De Bruyne was one of the club standout performer in Manchester City premier league ans Capital one cup triumph last season and one of the key figure in the Belgium team that won bronze at the world cup in Russia last year. The midfielder signed a new 5 year contract thatwill keep him at the club till 2022 with an option for further year per the player wish as he express his delight over a new contract given to him at the Etihad. Manchester United striker Romelu Lukaku is the third highest paid footballer in Manchester united and eighth in the premier league in 2019 . The 25 year old earn £250,000 a week at Old Trafford and his contract run till the summer of 2022. One of the premier league greatest striker , The Argentina international is the ninth highest earner in the league in 2019 and he stand as the Citizens highest goal scorer of all time. Harry Kane is one of the best player in the league due to him being a prolific goal scorer for the London base club. He helped the three Lions to their first semi final at the world cup for more than 6 decade. The England international earn £200,000 at white hart lane.